Since we first started manufacturing lifting chains, we have been using Australian made steel from the likes of BHP, Bluescope and most recently Liberty OneSteel. And this Australian made steel uses Australian mined and processed iron ore. No other supplier of chains in Australia can make this claim. The vast majority of other lifting chains sold in Australia are from Europe, Nth America or China. 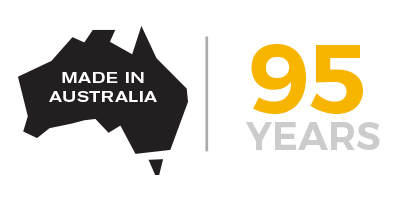 So by purchasing KITO PWB chain, customers are supporting Australian made products and Australian jobs and families. At KITO PWB every single manufactured link is proof tested. The Australian Standards for manufacturing lifting chains state that chain must be tested by the manufacturer at 2 x the WLL (Working Load Limit). KITO PWB have always tested every chain they manufacture at 2.5 x the WLL. No other chain manufacturer has a testing regime as rigorous as this. Since we began distributing the KITO range of products in Australia in 1986, the Australasian market has welcomed the unique features and benefits of the KITO electric and manual hoists and chain blocks. These products are the designated product of choice on many projects and work sites. KITO Japan has been manufacturing hoists and lifting products since 1932 and prides itself in the engineering excellence at their flagship manufacturing facility in Yamanashi, Japan, which is ISO9001:2008 and ISO14001:2004 quality accredited. KITO PWB also represents a number of other world leading lifting brands, including YOKE (Taiwan), Endo Kogyo (Japan), Dutton Lainson (USA) and Eagle Clamp (Japan) to name just a few. With over 200 years of combined experience in the lifting and other industries, you can be confident that KITO PWB will be able to provide you with a solution to your all your lifting projects. Our products are available through our accredited and valued network of approved distributors.